Tour available for 2018 and 2019. 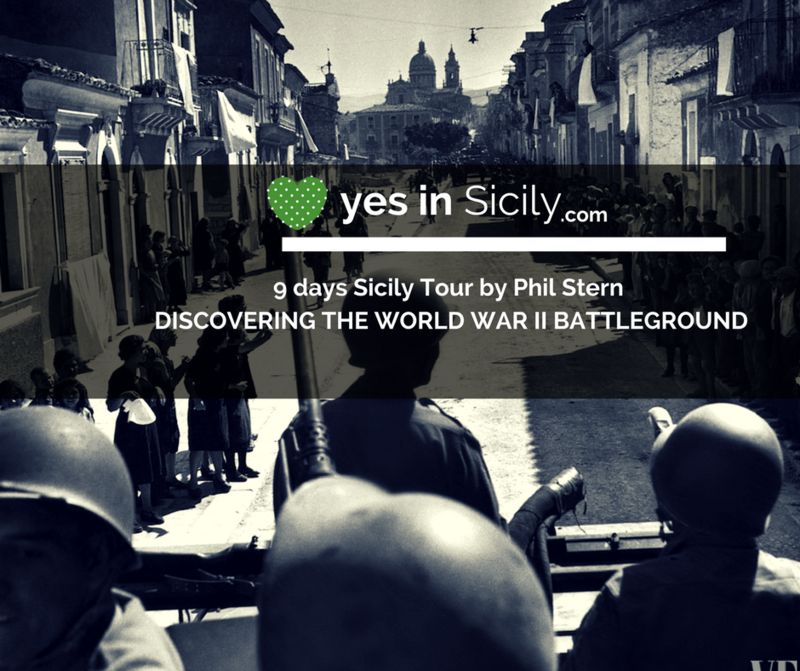 In the summer of 2013, the great American photographer Phil Stern makes his return to Sicily, after 70 years, to inaugurate the personal exhibition of unpublished photographs of the war on the island in the summer of 1943. Stern had landed near Gela, as photojournalist, as a young soldier of American troops to document the liberation of the island and the Allied advance. At that time he was a young reporter. He was 24. After the war he became one of the photographers areas of Hollywood, a friend of James Dean, Frank Sinatra and Marilyn Monroe, as well as personal photographer of President John Kennedy. The return to Sicily was an important milestone for the American photographer, who died Dec. 13, 2014 in Los Angeles at the age of 95 years. It was the culmination of a dream but also the closing of a circle in Sicily had got its start. To rebuild the Stern trip our route starts from Catania, one of the capitals of Sicilian baroque, become rich and great thanks to the sulfur trading, grain and Sicilian citrus, destroyed several times by the eruption of Mount Etna but always rebuilt from its stubborn inhabitants. The days are devoted to the re-enactment of the Landing of 1943 with visits to places that were the scene of the most important event of the Second World War in Sicily, which marked the end of the occupation nazi-fascist Europe and the much-desired liberation. The tour is combined with a foodie experience discovering the traditional Sicilian recipes and a very interesting cooking lesson in an old convent in Ragusa Ibla. You will experience the authentic Sicily, the extraordinary history & landscape, the wine, olive oil, seafood and other typical Sicilian foods. Upon arrival at Catania’s airport, your driver will meet you at the arrival gate and accompany you to your car that will take you to the Hotel 4* in Catania . After check in with time to freshen up, we will meet for a traditional Sicilian welcome dinner menu at the restaurant of the hotel served with craft local wine. Guided tours of the city , which offers a remarkable baroque historical center (Piazza Duomo, Piazza University, Benedictine Convent, Via Crociferi, Via Etnea, Teatro Bellini, Piazza Stesicoro). 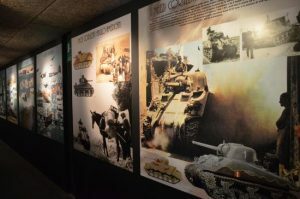 Visit to the Exhibition Center “Le Ciminiere” for the visit to the D-Day Museum. Dinner at the hotel or the historic center. Overnight. Breakfast. Visit to Taormina, one of the most famous places in the world where you can happily lose yourself through picturesque “vicoli” and intimate squares, or visit the ancient and famous greek theater, the gardens or admire extraordinary sea-Etna views and ancient baroque palaces that adorn the Old Town. Guided tour of the beautiful Sicilian town: the course, the Ancient Theatre, the Latomie, the Cathedral. It will be nice to stop for a coffee in the center and enjoy the slow and fascinating passage of time before some wonder of Sicilian pastry. Free time for shopping. In the late afternoon return to the hotel. At the evening travel to Syracuse to the next Hotel . Dinner menu at the restaurant of the hotel. Overnight . After breakfast at the hotel, a local guide will take you to discover Syracuse, a beautiful town where the Roman, Greek and Baroque souls still live in the architecture. You will visit the archaeological site of the town with the Greek theater, the Ropemakers’ Cave, the Altar of Heron and the Roman amphitheater. After lunch in Ortigia restaurant you will visit the beautiful center of Ortigia and the typical small alley full of fabulous shops and Sicilian flavors. In the evening return at hotel for dinner on your own.Overnight . After breakfast at the hotel, your group will travel by bus to Noto. You will have free time to spend around the most famous small baroque town of south-east Sicily. At the evening travel to Ragusa to the next Hotel . Dinner menu at the restaurant of the hotel. Overnight . After breakfast at the hotel. You will visit the beautiful old baroque town of Ragusa Ibla in the heart of Iblean Valley. A local guide take you to discover beautiful noble buildings and a theater. In the evening you will have a cooking lesson of typical Sicilian food with a professional chef in an Old Convent Ibla, a very fascinating place. After the lesson you will have a dinner of the food you prepared with the chef and a wonderful glass of Sicilian wine . After breakfast at the hotel. You will visit Modica, known as the “city of one hundred churches”. It is a small town to be discovered; with its alleys, with staircases and hidden corners. Saint Giorgio Cathedral, Saint Pietro Church and Saint Nicolò Inferiore are particularly interesting. Modica is remembered for its extraordinary chocolate. It will be inevitable to be charmed by the excellence of Modica’s chocolate on the chocolate tour. Born and created following ancient tradition that, still today, is handed down to future generations. You will have free time for lunch in Modica and in the afternoon your group will travel to Scicli, famous as one of the places used as a set of TV series “Il commisario Montalbano” hides a surreal atmosphere, almost bohemian, among its streets that mix the Baroque, with beautiful little shops and art galleries. In the evening your group will travel by bus to Valle dell’Acate Winery near Ragusa. The untouched nature, the rows of grapes that color the countryside, the reflections of the sun on earths create a natural paradise. The impressive stone architecture of the winery evokes the ancient peasant world of the past, reviving the atmosphere where time seems to have stopped, the way it once to make wine. Here the local guide and sommelier Giovanni will not only show the vineyard, but he will invite to taste the varieties of wines and he will take you in a fantastic experience. You will taste a typical Cerasuolo DocG with typical Sicilian appetizers. Breakfast. 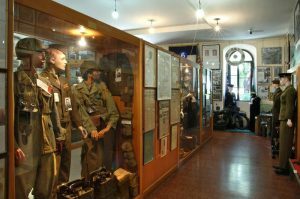 Day entirely dedicated to the re-enactment of the landing and to visit the places that were the backdrop to the most important war event of the Second World War in Sicily. Switching from Comiso and continue to Licata and visit to the landing beach in 1943. Here the photographs of Phil Stern back alive with all their strength, and the magazines of knowing how did the world what was happening along the southern coast of Sicily. A big demostration of force similar to that of “D-Day” in Normandy. After breakfast and check out your group will travel by private bus to Catania Airport where you will board your return home or stay a little longer or visit other part of Italy ! Just tell us. The tour is combined with some unforgettable experiences of Sicilian food and wine. You will discover the Sicilian dishes during your meals in typical restaurants ( we selected the best ones for you), a very interesting cooking lesson in an Old Convent in Ragusa Ibla ( amazing experience! ) and dinner of the food you prepared with the chef, you will visit a famous winery of Acate with tasting food and wines, you will visit the old chocolate laboratory and lear how prepare the famous chocolate of Modica ( of course tasting lot of cocholate), you will visit the authentic Ortigia’s fishers’ market .